Linked hearts will show your love! Covered in an entwined heart pattern, this lovely rayon white or ivory wedding aisle runner is 3 feet wide by 100 feet long. 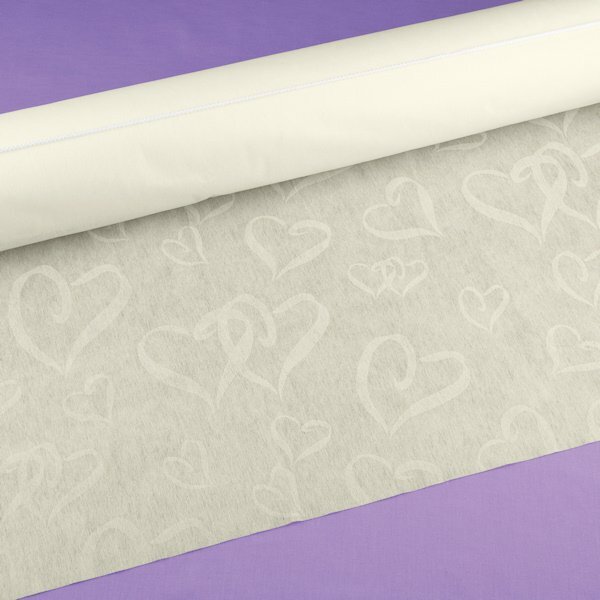 The durable design has a pull cord for easy unrolling down the aisle. Available in your choice of ivory or white, the aisle runner sets the wedding couple apart with special walkway just for them. A great choice for any wedding...especially those with a heart theme.